It was such a pleasure being the Celebrant for Cathy and Shaun’s wedding at Mirra Private Dining and Events in Fortitude Valley. This lovely couple, traveled all the way from Melbourne with an entourage of family and friends to enjoy an outdoor wedding here in Brisbane, and despite the out of the norm constant rain over the past week, and after a huge down pour earlier that afternoon, miraculously the clouds parted and a clear blue sky made their dream of an outdoor wedding a reality. 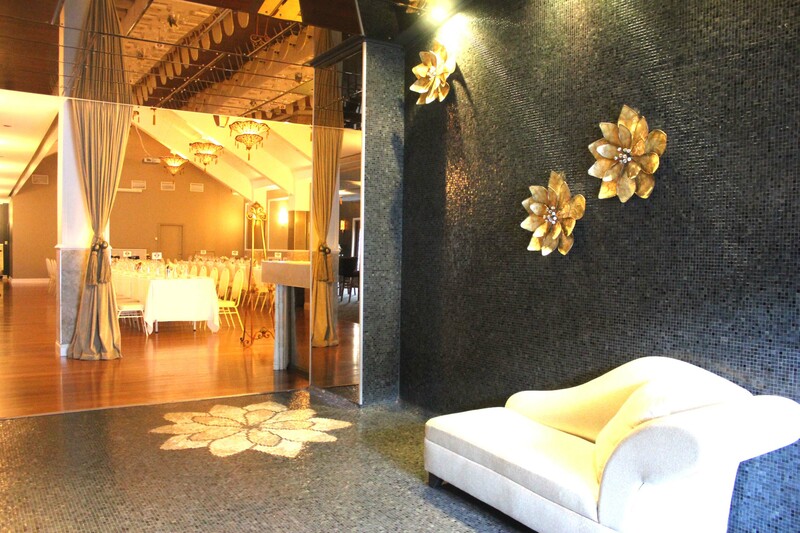 The Courtyard at Mirra where wedding ceremonies take place. 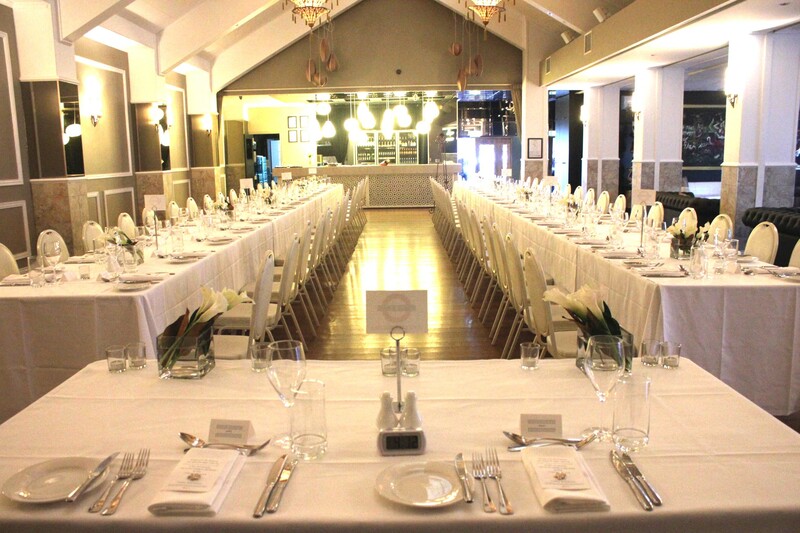 Mirra is such a fabulous venue, it oozes style and elegance and certainly has that wow factor. It is also situated beside a busy railway track and there is no mistaking the sound of the passing trains from outside in the courtyard where the ceremony took place, but instead of being perturbed by this, Cathy and Shaun completely embraced this and had fun with it by incorporating a London underground train theme in to their reception styling. 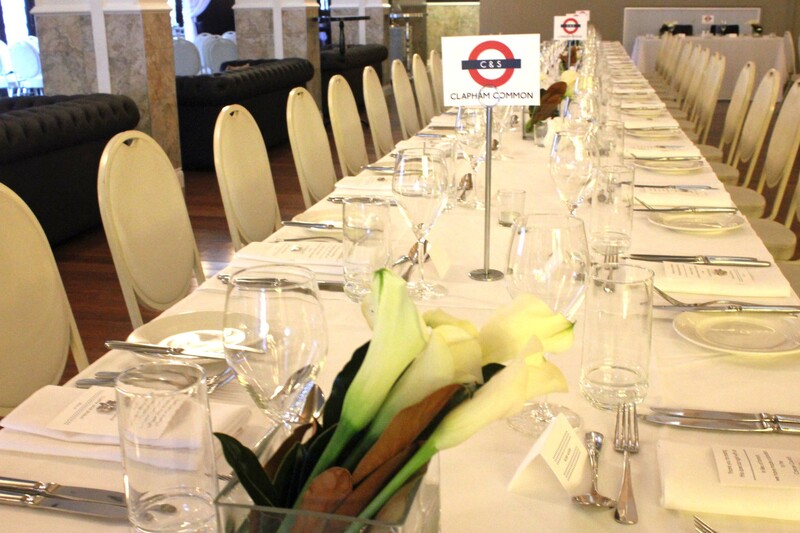 The tables were named after the London underground stations, cards from the guests were ‘posted’ in to a British style ‘Royal Mail’ letterbox and even the biodegradable confetti carried the train theme. While we did hear trains passing during the ceremony, thankfully my good strong PA System worked it’s magic and the ceremony wasn’t interrupted. The bride and groom were seated at a ‘sweetheart’ table which is a huge wedding trend in the states, I think this seating arrangement is really cute, plus it allows the bride and groom to have that time to themselves and take it all in. 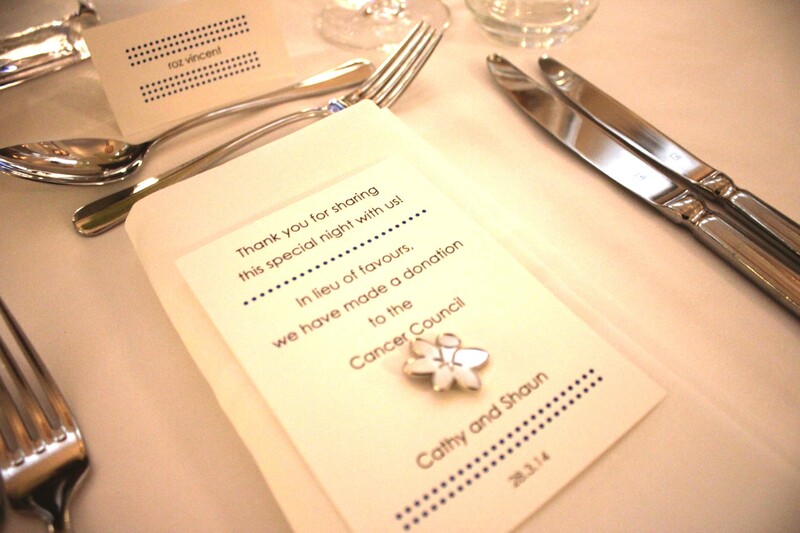 This sweet couple provided a donation to charity (the Cancer Council) in place of favours for all their guests which goes to show that they are just as beautiful on the inside as they are on the outside. What a lovely gesture and a charity that everyone is touched by. I loved being the Celebrant for this wedding at Mirra Bar in Fortitude Valley and wish this gorgeous couple every happiness for their future together. 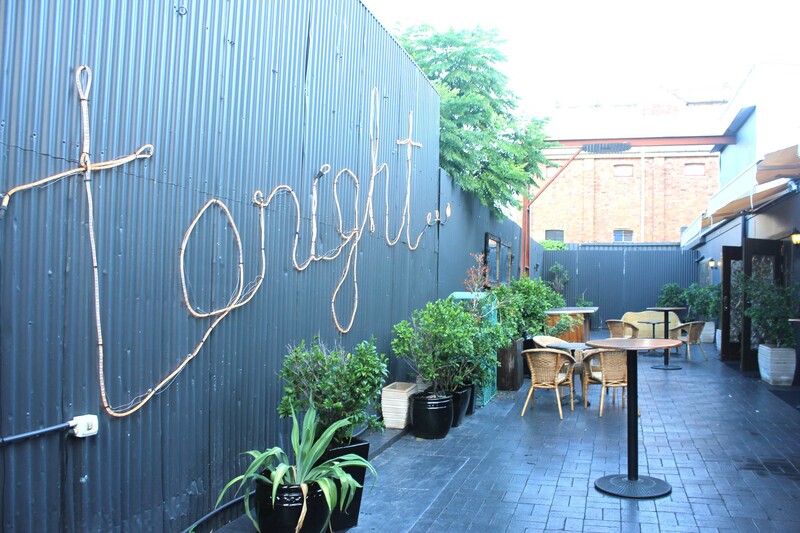 If you enjoyed hearing about this contemporary wedding ceremony at Mirra Bar and are looking for a Celebrant for your Brisbane wedding, Cara would love to hear from you. Contact Brisbane City Celebrants for more information and to confirm availability for your special day.